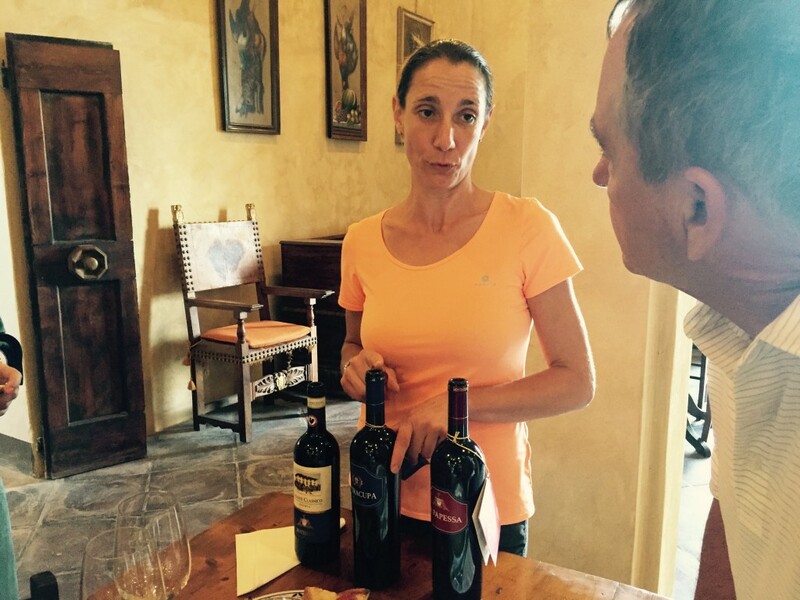 Chianti is not one of my favorite red wines, but we’re in Tuscany and a Chianti tasting is a must. So off we went to Greve, Pansanno and the Montecchio winery to learn about and sample some Chianti and Tuscan olive oil. 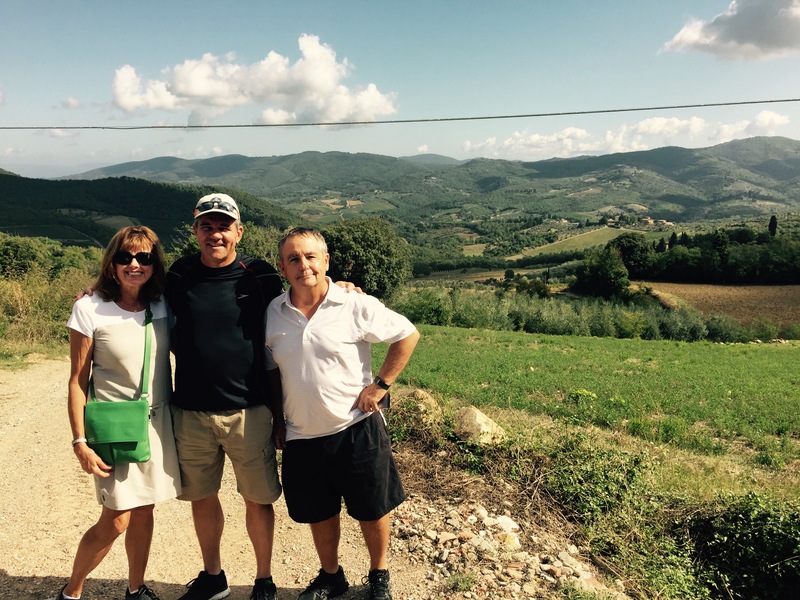 Before getting to the winery, we made a stop at Greve, one of the main wine producing towns in the Chianti region. They were getting ready for the annual Chianti festival, setting up displays and crowd-control ropes in the town square. 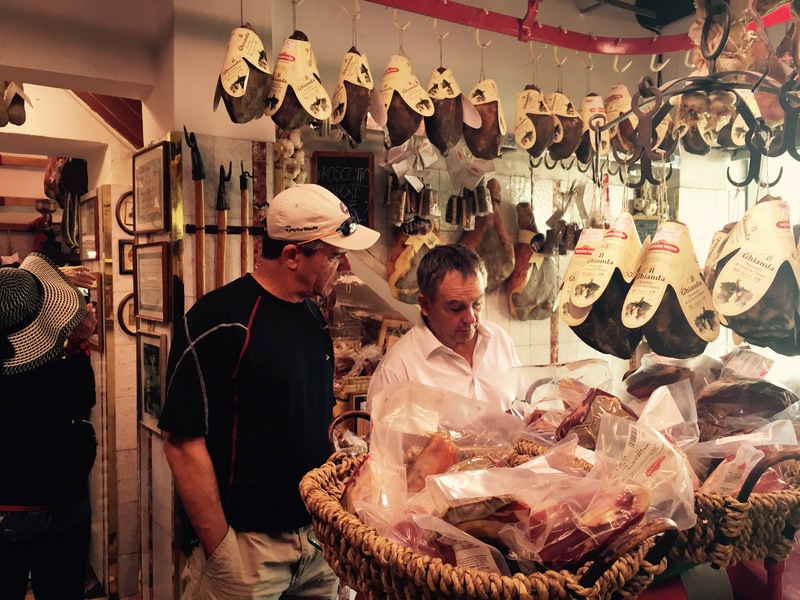 We visited a traditional butcher shop recommended by our guide. We stopped along the way to get an up-close look at the grapes and olives. Although the olives were a few weeks away from being ready to harvest, the grapes were ripe and some had already been harvested. The grapes are harvested by hand, and the olives are harvested by machine. 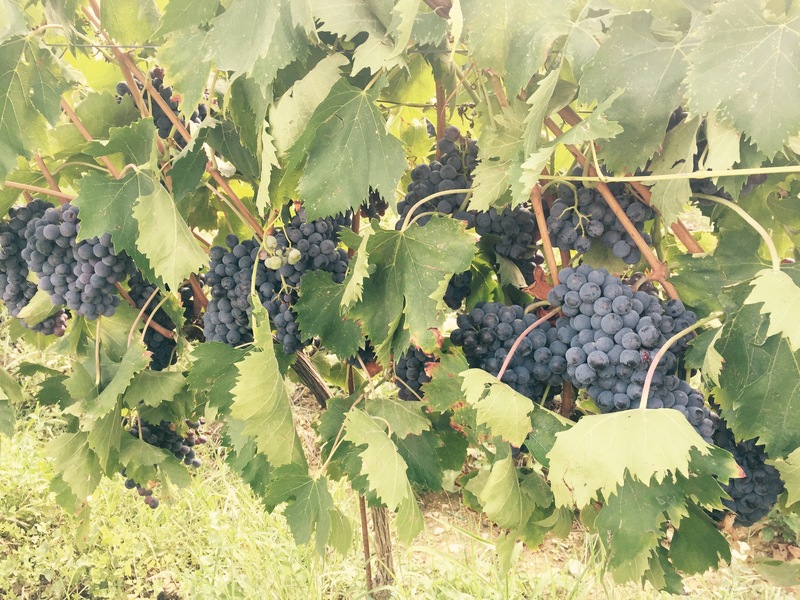 The grapes are grown in such a way that they hang at the bottom of the plants in big bunches that are easy to pick. 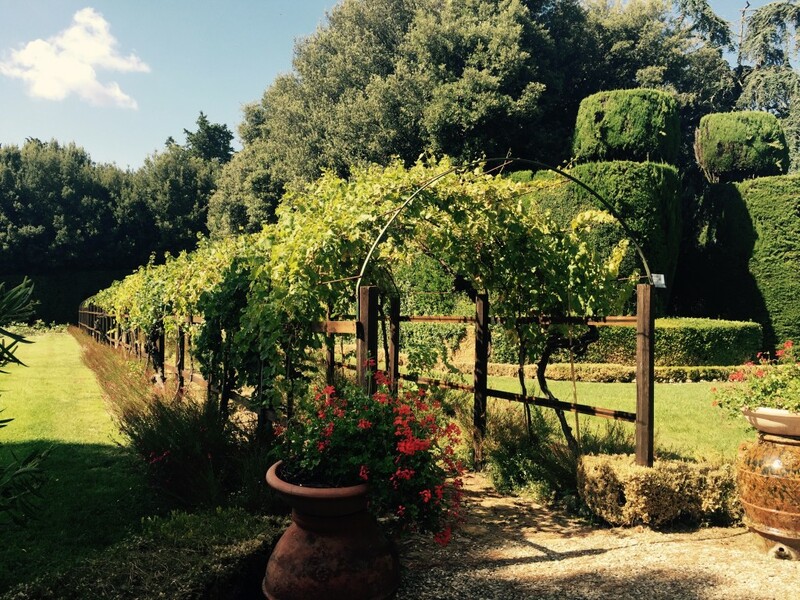 The Montecchio Winery was beautiful. At one time it was a family hobby but now has become a business. After walking around the estate, I wanted to live there and help harvest the grapes. We learned about the governmental regulations for wine to be designated as Chianti Classico and Chianti Classico Resirva. The classification Super Tuscan means that the winery has a great deal of freedom in making the high quality Tuscan wine. 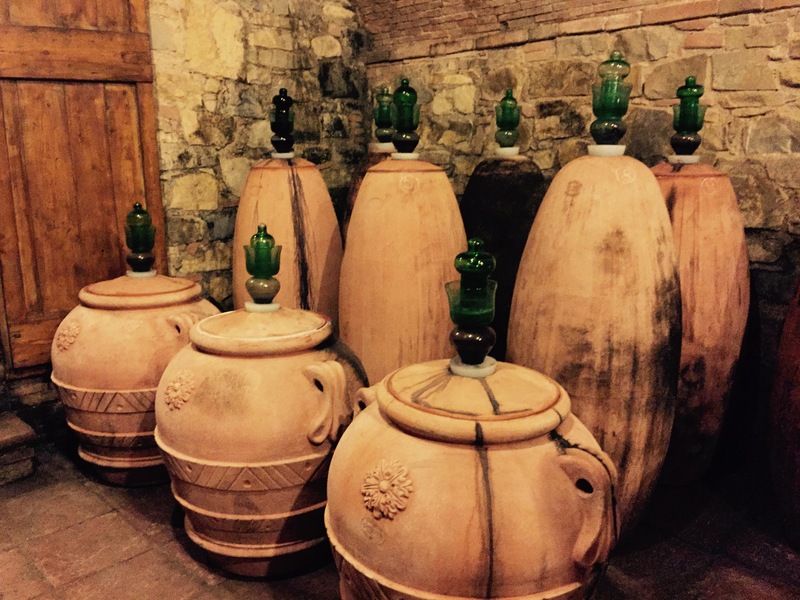 The winery we visited was experimenting with making a Super Tuscan that is aged in terra cotta pots. Terra cotta had been used many years before to age wine. After the tour, we had a wine and olive oil-tasting lunch with local cheese and salami. Then it was back to the apartment for a little rest before our good friends Sylvia and Marilyn arrived. They arrived in the late afternoon, and the five of us had dinner at a favorite restaurant and gelato at our local shop. 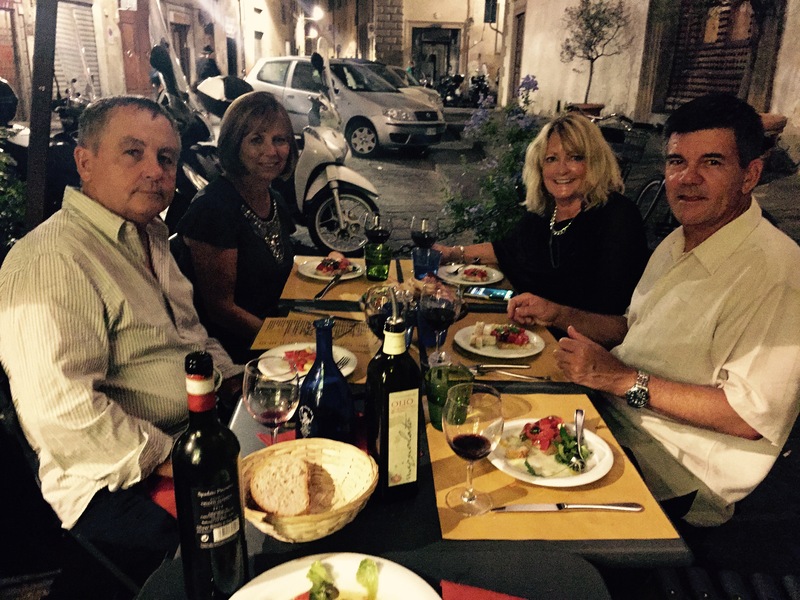 This entry was posted in Italy 2015 on September 6, 2015 by debbie.